Weddings are time of joy, fun, merriment and well, CAKE! If you think, it’s not true, ask any one of your hostel friends and they will proudly tell you stories of forced invitations and wedding crashes – all for the love of cake! Indian weddings are incorporating the concept of cake cutting like never before and we couldn’t be happier about it! It is also a great way to incorporate personal elements into the wedding. There are innumerable ways in which you can personalize your wedding cake. You can use a favourite movie, song or book and design the cake around the same. You can also incorporate elements of your love tale into the cake. Whatever you decide – we have the perfect place for you to get it done! To make your search for wedding cakes in Bangalore easier, we bring to you a list of the top 5 cake shops in town! Mira’s Dial A Cake promises to make your wedding day a memorable experience with the customized and delicious wedding cakes baked at this designer cake shop in Bangalore. They offer cakes in all types and flavours to suit every party and occasion. You can customize your cake depending on the number of people and your preferred taste. They also come highly recommended and will surely leave you impressed with the superior quality and taste. With multiple cake designs and delivery options, Sweet Cherry is clearly one of the most easily accessible cake shops in Bangalore. They have a plethora of options which will surely spoil you for choice. You can find almost anything in their range – starting from traditional to quirky wedding cakes. The Cake Studio reiterates our belief in cake and gives us all the more reasons to indulge in some sweet treat. They deliver across all major cities and are known for their delish and mouth-watering wedding cakes. The moist cakes at this lovely cake shop in Bangalore can be customized to suit your occasion and you can also incorporate elements of the wedding into the cake. 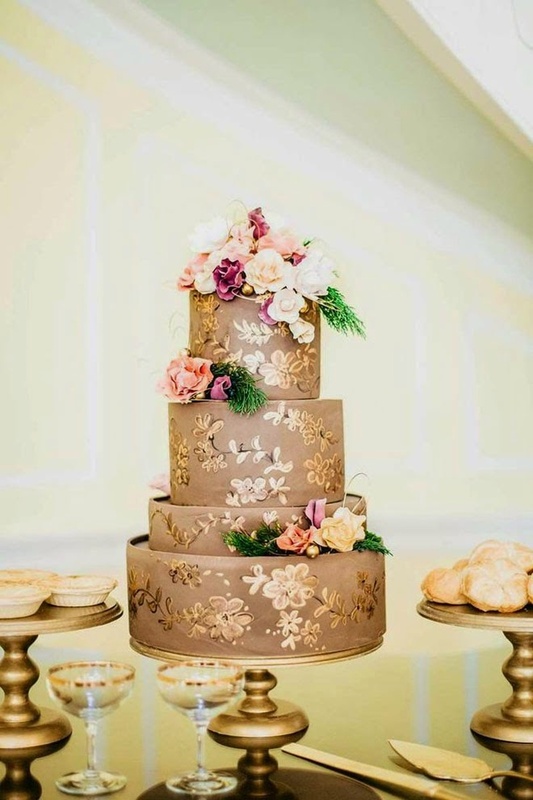 For wedding cake delivery in Bangalore, The Cake Studio, is surely one to watch out for! With imported ingredients and the freshest supplies, Aubreeis one of the premium cake shops in Bangalore that promises nothing but the very best on your special day. Cake delivery in Bangalore is made more exciting with Aubree’s special range of cakes that can be customized as per your occasion and theme. They import their ingredients from around the world to ensure that taste of your wedding cake lingers in you and your guest’s tongue and minds for years to come. If you’re seeking one of the finest cake shops in Bangalore for your wedding cake, a Spoonful of Sugar is your go-to place. Baked with love by a mother-daughter duo, the cakes are as delicious as they are gorgeous in appearance. These picturesque cakes are available in an array of designs, flavours and sizes to complement every wedding or other social occasions.